The Seltas was the first monster I covered for this series. Now, meet its subspecies! The first thing you’ll notice about the Desert Seltas is its colour; it has a bright yellow-green shell. Where the original Seltas had a single horn protruding from its head, this one has the horn split into two, complete with spikes running along their length. 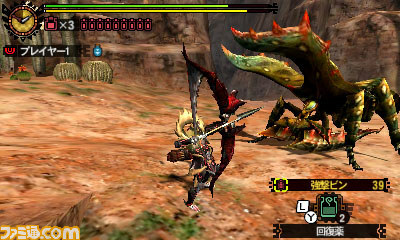 This monster is very similar to the original Seltas, as subspecies often are. The Desert Seltas is a male Neopteron, and has a female counterpart which I’ll discuss in a later article. It is also capable of inflicting paralysis by shooting globs of paralysis balls out of the end of its body; in the original Seltas, these cause defence down. They have also changed colour from green to yellow. 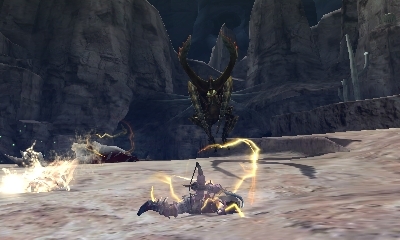 The Desert Seltas can zip around the map quite quickly, but pauses regularly, allowing you to get some free hits in. Its main move is a charge through the air; it will lower itself with its horn pointing towards its target, hovering just above the ground, and then head straight for you. It can do it a few times consecutively before moving on to something else. If it charges you while you’re standing in front of one of a few select walls, its horns will get stuck in it and you’ll get some free hits. 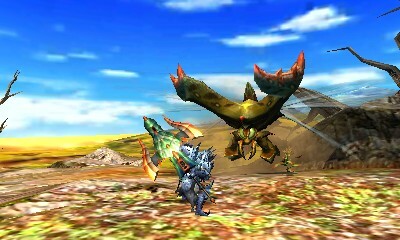 The Desert Seltas, like the original, has a couple options for close range attacking which utilise its claws. It can spread them out and spin on the spot to send the hunter flying. It will also cross them in front of its body for quite a bit of damage. A new ability for the Desert Seltas is that to bury itself underground and then launch itself into the air from below. Although a number of monsters have this, it’s a new one for this beast! Next week I’ll take a look at the Ash Kecha Wacha, which uses fire in place of water!